UK Postcode Maps and Editable Outline GB County Maps, UK Road Network Maps and A4 Location Maps..
Postcode Maps make a great base for creating sales territory maps, delivery zone maps or even profit distribution maps. Buy and download them right into your regular graphics editing software, colour them in and use them in documents or presentations. We have the most detailed and accurate UK Vector Postcode Maps available to buy online. We even have a free download to give away. We have many different variants of UK County Map to buy and download immediately. You can have a simple outline showing just the counties of Great Britain or a detailed parliamentary constituencies map of the UK showing towns and cities as well as county boundaries. Every map comes in numerous file formats so you're guaranteed to be able to open the maps using your own software. For cartographers and people with some real processing power. Our illustrator editable uk road network maps have masses of detail. Including roads, railways, rivers, airports, towns cities and much more these detailed maps cover the whole of the UK, Northern and Southern Ireland. Fully layered, its easy to turn on or off different layers to customise the map to your needs. Sending your visitors an A4 pdf location map of your business is the best way to send out the right first impression. Designed specifically for your business in your own colour scheme, including your own logo's and contact details our maps show only the pertinent roads and infrastructure relevaent to finding your business. Maps designed in all sizes. Our simple website location maps are ideal to use on the contact page of your website or on the back of a brochure. They can be designed to whatever size you require and to show any level of detail. When sat-navs don't get a visitor directly to your door, these maps are an ideal accompaniment to show them in detail the last part of their journey. If you want to purchase a large number of small maps, ie. for each of your branches, shops or outlets then we will create them all in the same colour scheme and style and also include a healthy multiple map discount. 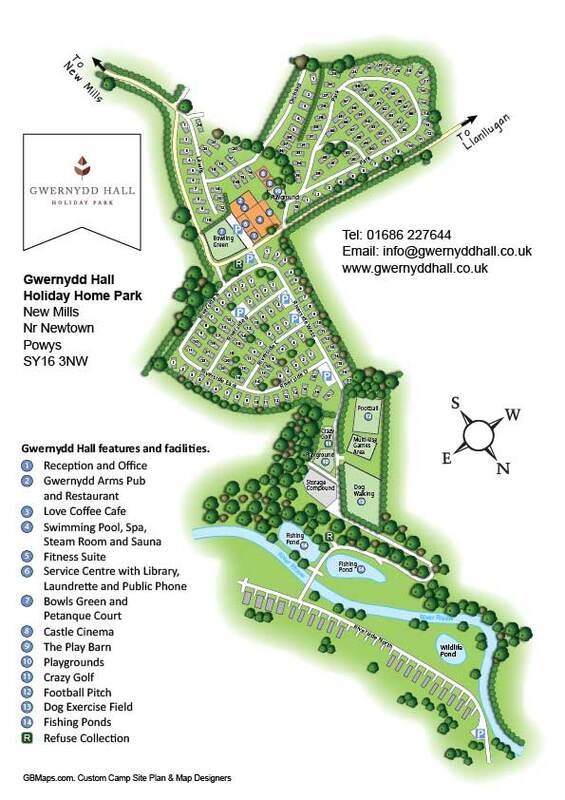 We can create a 3D style map or plan of your caravan site, camp site or static caravan park showing all the details you want your visitors to know about. Power hookup points, emergency points, lakes, play areas and building locations can all be shown on one of our campsite maps. 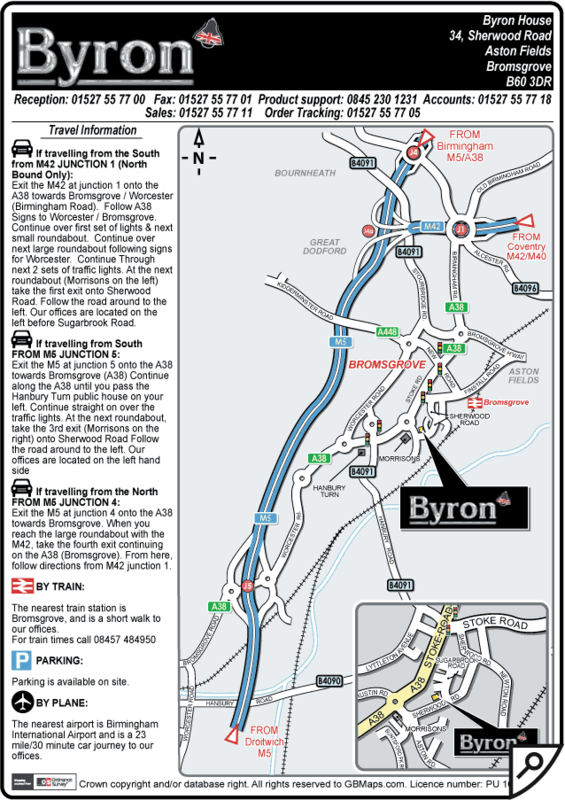 Email the maps to customers or include printed copies in your welcome packs.